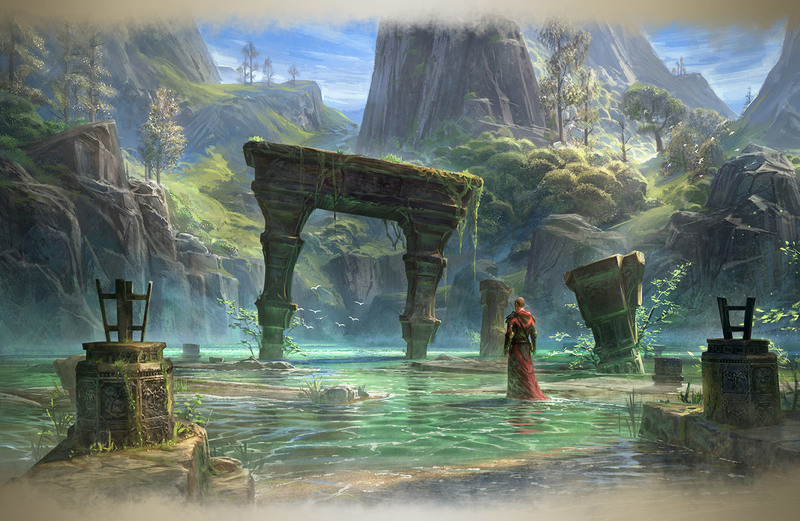 The first major update to The Elder Scrolls Online is now live and the patch notes are a bit confusing, so let's try to break it down and make sense of this massive free update to TESO. The big things to understand is that it finally adds the major portion of the endgame, adventure zones, to TESO so max level players finally have something to do other than PvP. Adventure zones are for groups of four veteran rank characters to walk around and explore, trying to recreate that traditional single player Elder Scrolls feel, except with people! In addition, about five billion gallons of bug fixes and other updates were included. Hel Ra Citadel and the Aetherian Archive are included in this update, which are 12-player Trials where you compete on leaderboards with other groups for infamy and fame. The group finder works with trials, so you can find your group rather easily, but you may not do very well. You can even fail and be kicked out - you have 36 "Soul Reservoirs" which depletes every time someone is resurrected. The quests are weekly quests and offer loot once a week. The leaderboard works by counting the time until you complete the trial or fail. Your personal best time is available on the leaderboards. There is a trial of the week where players who reach the leaderboard will receive a prize for that specific trail at the end of the week. There is now a few more veteran ranks (you can reach up to 12 now). Chests now give loot for everyone in the party, making it less drama-rific when in dungeons. Alliance War has been changed a bit. Monsters were buffed, there is now an underdog bonus, and a new 14 day campaign so that you don't have to wait the full 90 days for the results. Although I imagine Celarus, the new two week campaign, is going to be crowded. The Scourge campaign is closed. Lots of people are sort of kind of upset over this, but the good news is your points transfer to other campaigns. See the full patch notes for the tome of random updates / bug fixes. Overall I'm rather happy with this patch, but we'll talk more about that later. For now, get your client patching!